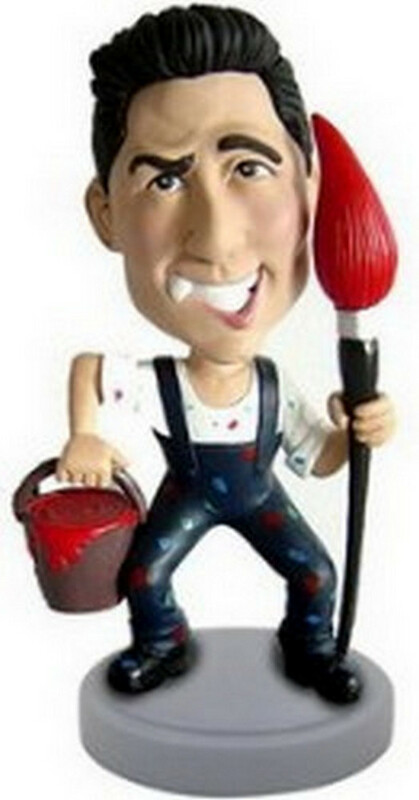 Personalize this painter custom bobblehead doll. He is holding a painting brush and his cup of paint. He is wearing a pinafore and a shoe.